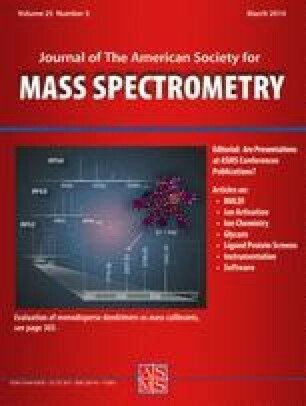 The rapid advancements in mass spectrometry (MS) instrumentation, particularly in Fourier transform (FT) MS, have made the acquisition of high-resolution and high-accuracy mass measurements routine. However, the software tools for the interpretation of high-resolution MS data are underdeveloped. Although several algorithms for the automatic processing of high-resolution MS data are available, there is still an urgent need for a user-friendly interface with functions that allow users to visualize and validate the computational output. Therefore, we have developed MASH Suite, a user-friendly and versatile software interface for processing high-resolution MS data. MASH Suite contains a wide range of features that allow users to easily navigate through data analysis, visualize complex high-resolution MS data, and manually validate automatically processed results. Furthermore, it provides easy, fast, and reliable interpretation of top-down, middle-down, and bottom-up MS data. MASH Suite is convenient, easily operated, and freely available. It can greatly facilitate the comprehensive interpretation and validation of high-resolution MS data with high accuracy and reliability. The online version of this article (doi: 10.1007/s13361-013-0789-4) contains supplementary material, which is available to authorized users. The authors thank Yi-chen Chen, Serife Guner, Jiang Zhang, and Matthew Lawrence for helpful discussions, and Santosh Valeja for critical reading of this manuscript. The authors are also grateful to David Horn for his kind assistance at the early stage. Financial support was kindly provided by the Wisconsin Partnership Fund for a Healthy Future, American Heart Association Scientist Development Grant 0735443Z, and NIH R01HL096971 and R01HL109810 (to Y.G. ).